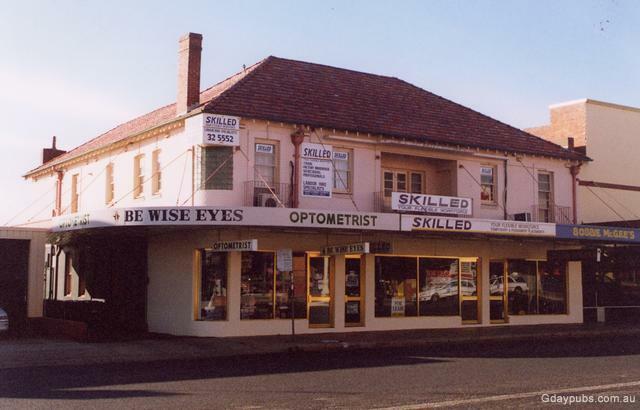 Rarely is a town's history so well documented. 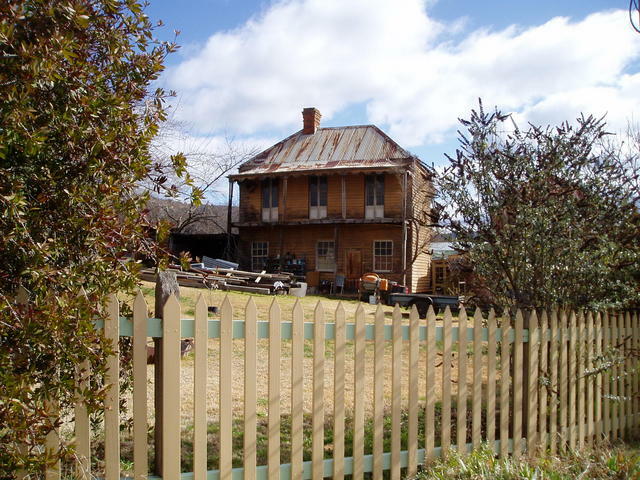 But Hill End, in NSW, is fortunate to be the beneficiary of a complete photographic record of its gold mining origins - thanks to Beaufoy Merlin and Charles Bayliss in 1872. 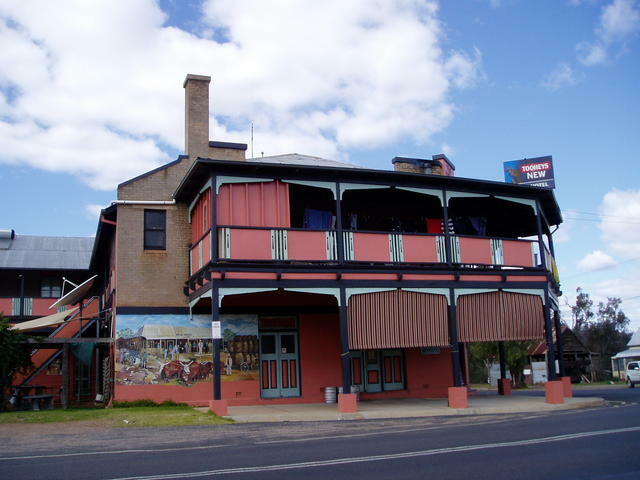 This Bathurst to Coonabarabran, via Dunedoo pub trail, is a great way to escape from the Blue Mountains or Sydney, when heading north into central NSW. The largest gold nugget of its time, "Holtermann's Nugget", weighing 286 kg was found in Hill End back in 1872, putting the 1851 township clearly on the map. But Beaufoy and Charles were more interested in photographing the town - pretty much all of it! 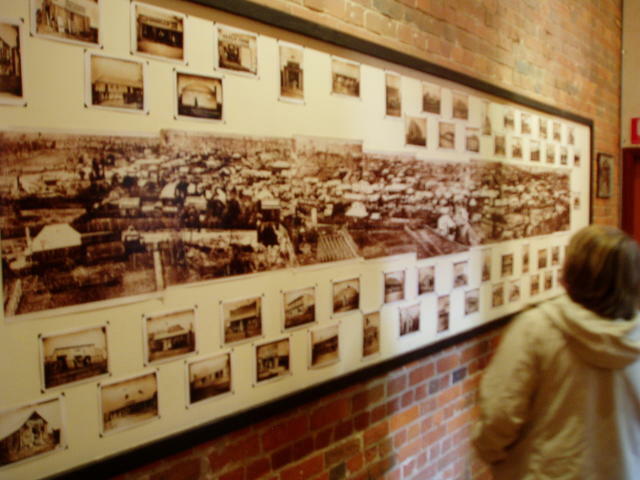 Bayliss and Merlin's complete photographic collection of the buildings, the people, the tracks and the mines, all detailed and meticulously documented were discovered years later in a Sydney cellar. They were donated back to the town - some 2000 odd glass negatives of them. 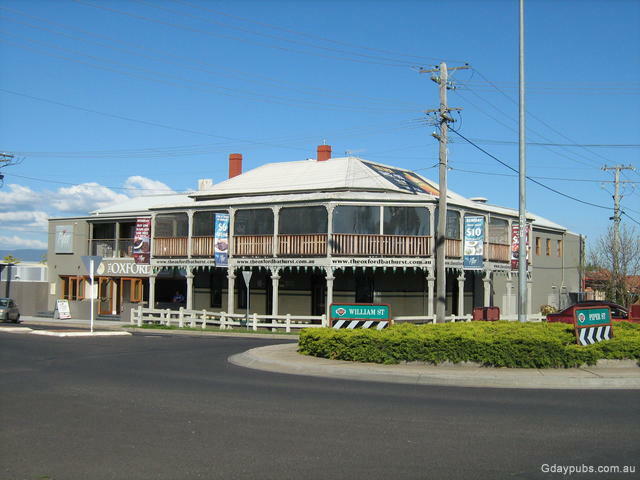 The visitor's centre, today proudly presents a number of these photos, including a mural sized photo that depicts the main street. 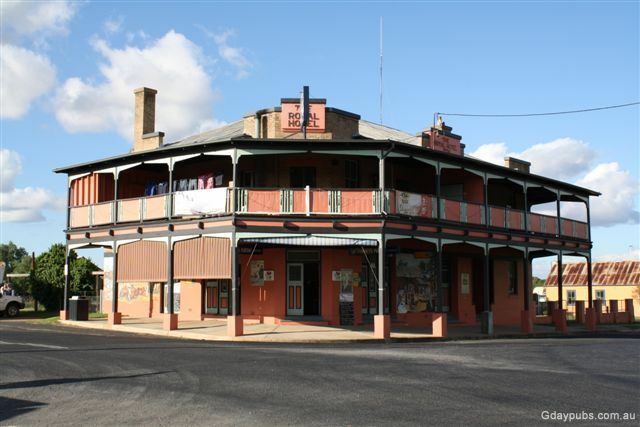 It has helped considerably in retracing the origins of this town, that has changed very little since those exciting gold prospecting days. 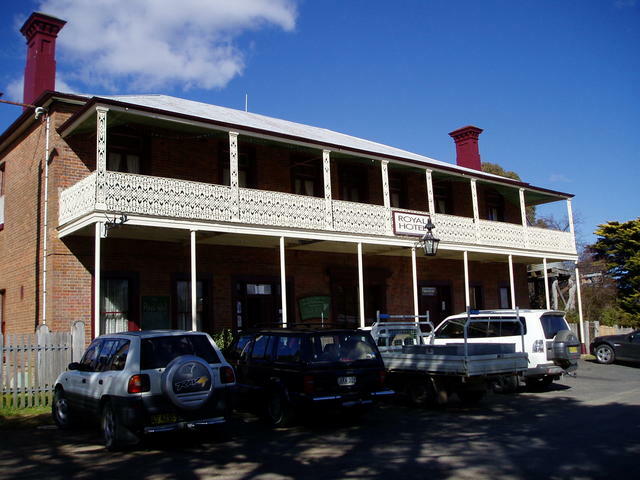 So head out of the Blue Mountains to Bathurst, and then take the Sofala, Hill End, to Mudgee route north. 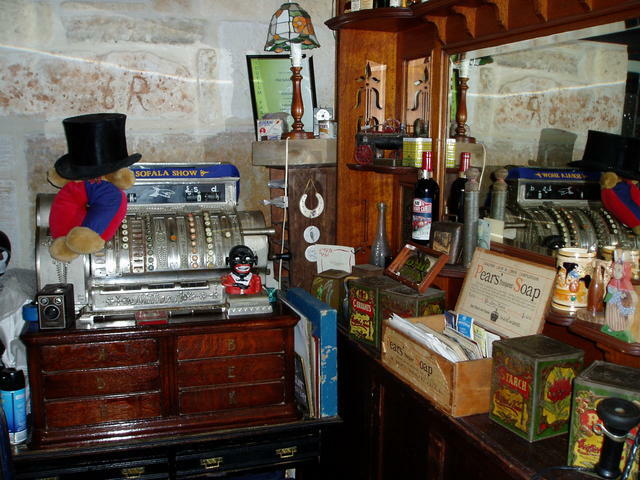 The road, whilst dirt in parts, is very easy driving for caravanners, and the area offers much history to explore. 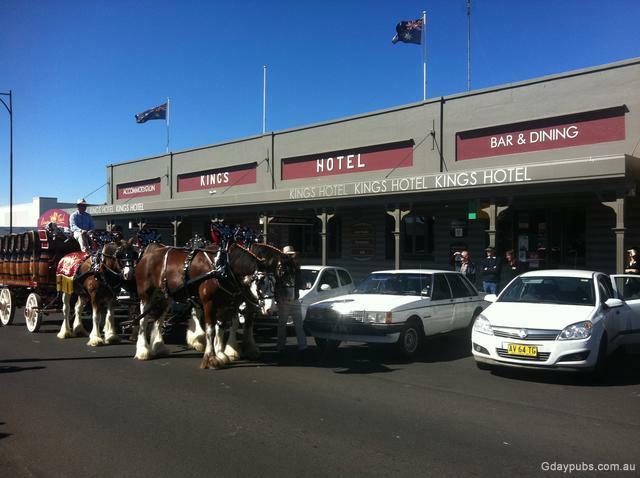 What lies north is the fantastic Mudgee wine district, an excellent stayover for a few days. 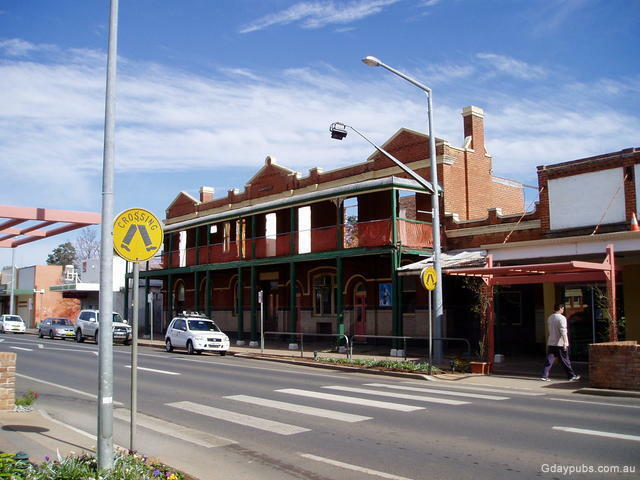 And beyond Mudgee, is Gulgong, another landmark in Australian History, known as the $10 town. 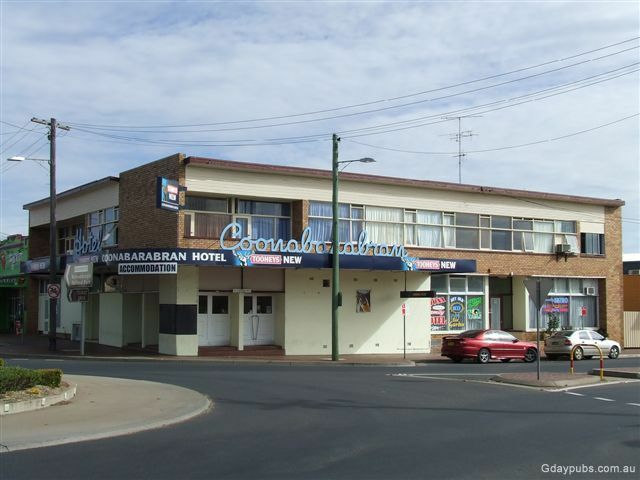 And finally, there is Coonabarabran, a great rural township often marked as a central point for travellers heading north way too quickly. But we would encourage a longer visit here too, as the Warrumbungles National Park with the Anglo-Australian Telescope facility is situated nearby and beckons your visit. So, it's time to head off into prospecting land! 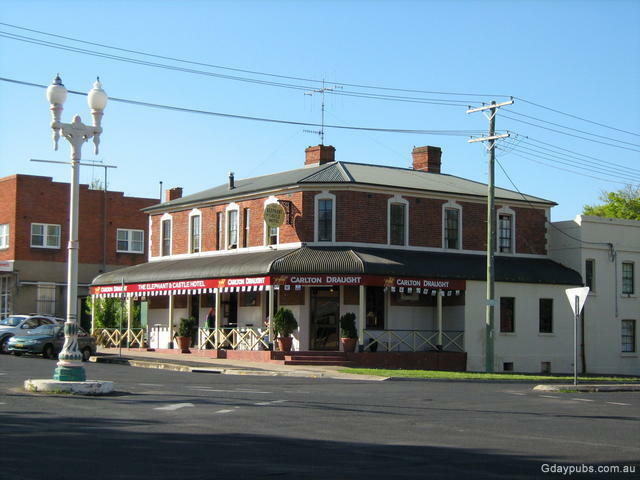 Bathurst boasts just so many hotels, it would be best to prompt you to look at the Bathurst Town page to get a complete directory of them, rather than single out only a few here. 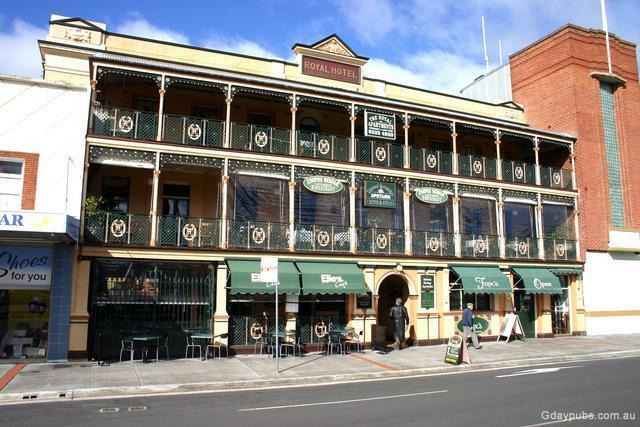 Instead, we've shown a former hotel, which typifies the street scape of this city's magnificent buildings But it is fair to say, there is something for everyone in this city. 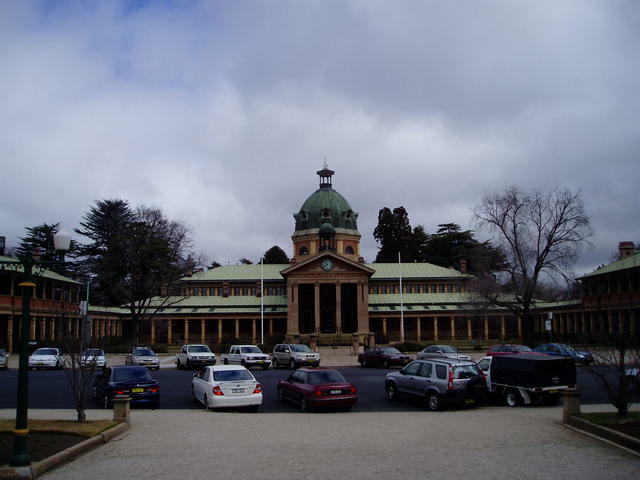 Of course, today, the city is known around the world for hosting the Mount Panorama car race - of 1000kms (161 laps). 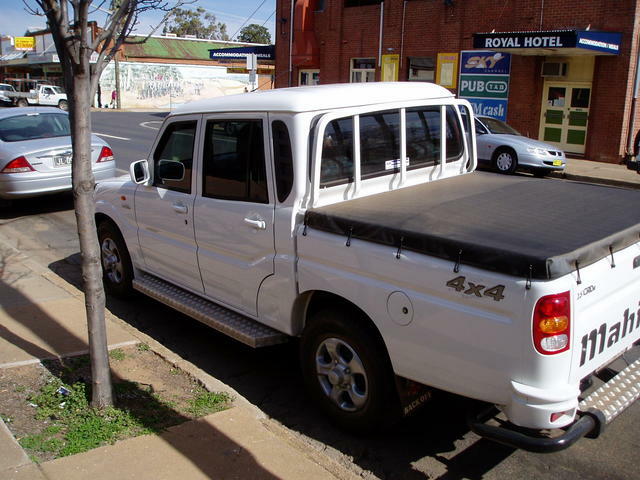 The track is actually a scenic road and is governed by standard road rules - so be warned. 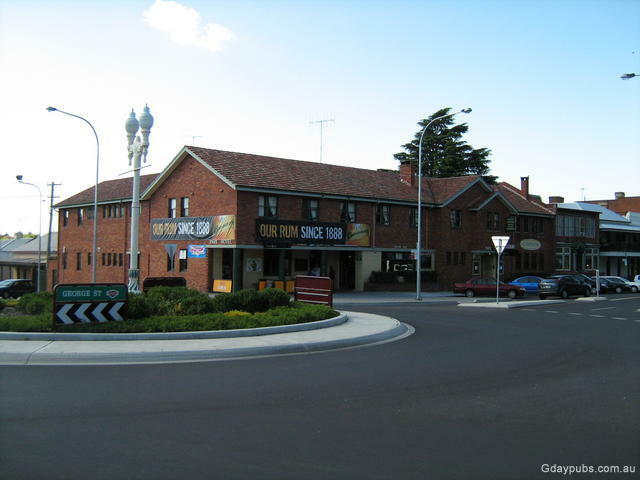 Driving around Mt Panorama (with its two-way traffic!) can be quite numbing when you consider the speeds of the big V8 Ford and Holden racing 'production' cars that own this montain in October every year. Race day speeds of 300km/h down the back straight ('conrod') are a little different to tootling around with a caravan on the back, restricted to 60km/h. But even so, driving over the top through the esses gives you a great respect for those drivers. Returning to the contrasts of walking the main streets, gives you another perspective. 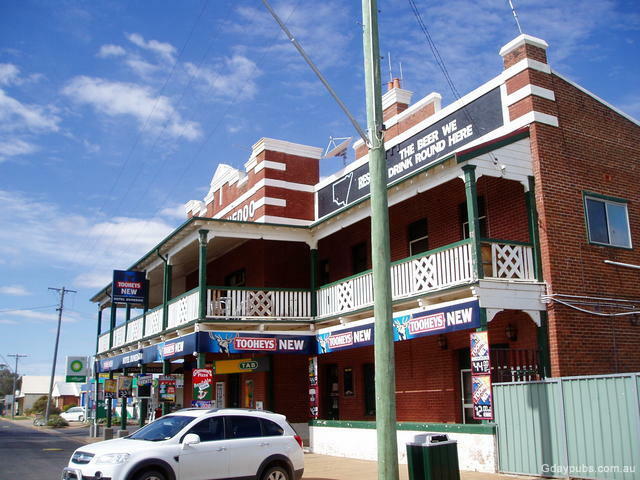 The town square is bounded on one side, by the Bathurst "Victor's Walk" to the many winners of the prestigious car race. They make interesting reading as the earlier days of racing on the mountain drew a wide variety of car makers in those days, compared to the two-model duel of late. Gaz's van would need a little more aerodynamics to get around the track quicker! 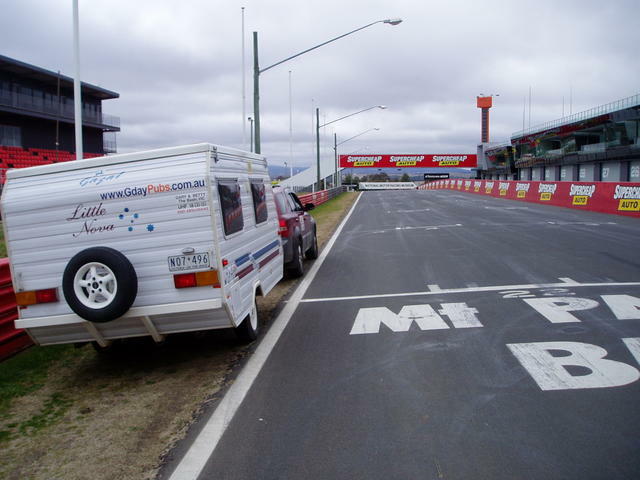 The Mount Panorama track takes over eight minutes to drive around legally - but on race day that gets down to just over two minutes! All the more reason to make sure your rig is well prepared for travelling these Pub Trails. 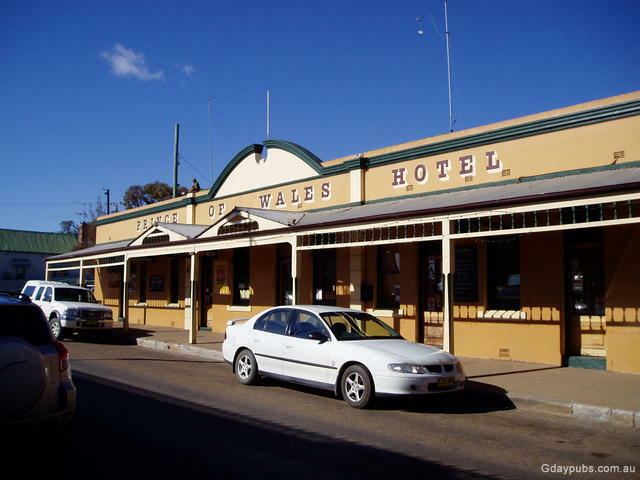 Head out of Bathurst, through Wattle Flat to reach Sofala and slip into the town - literally. The streets are incredibly narrow, so if you're hauling a long rig, you'd best park it at the entrance to the town where the tunoff west to Hill End awaits for later. 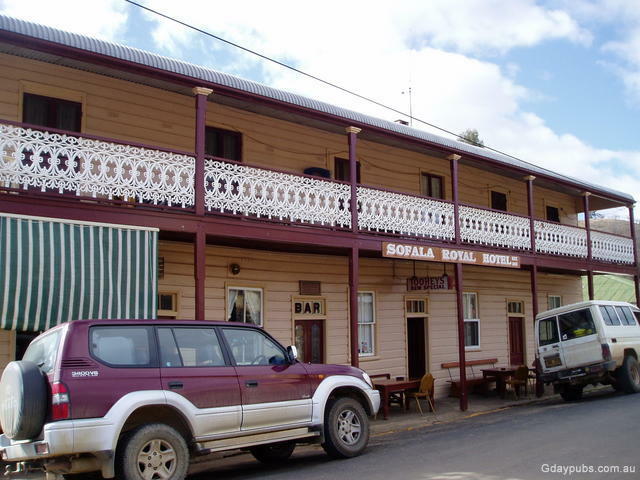 Walk the main street of Sofala, and wander on up the hill to the old gaol and drop in for a fine coffee stop or meal. 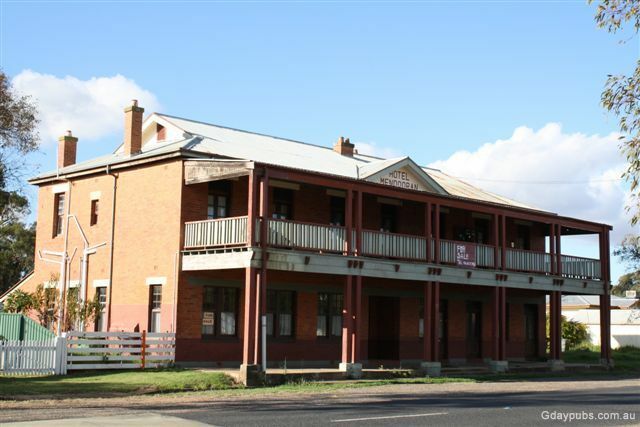 The gaol now houses a museum and a number of local history items - a real worthwhile visit. 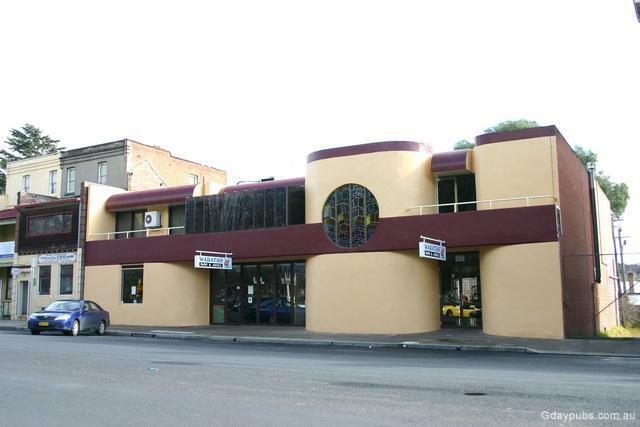 Mind you, don't be surprised if you think the owners have a fettish for bbq and cooking aparatus. It is likely more a matter of having too much left over steel memorabilia, and a constant need for devising new ways to turn it all into yet another wizz-bang bbq tool. You'll see examples of the original gaol cells, and how it operated. 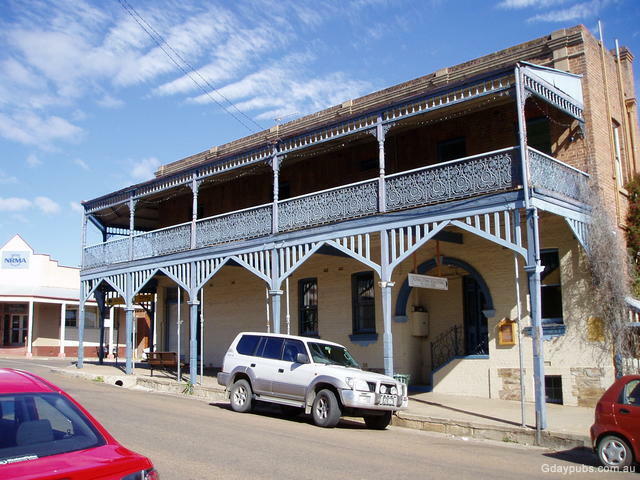 Dotted throughout the few streets that make up Sofala, are some extraordinary looking old buildings. The nice thing is, they all retain their original character...... and the characters are probably enjoying each other's company down at the local 'Royal' when they're not renovating the town. 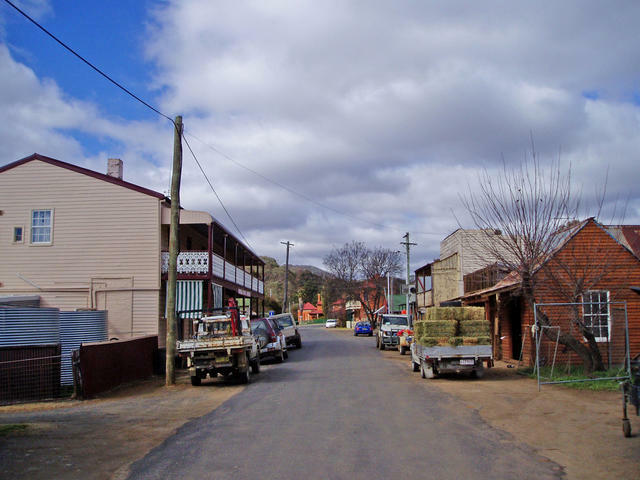 Hill End, about 70kms south of Mudgee and 25kms west of Sofala is one of those really great towns to explore, with its gold mining heritage awakened again in the 21st century as gold prices improve. 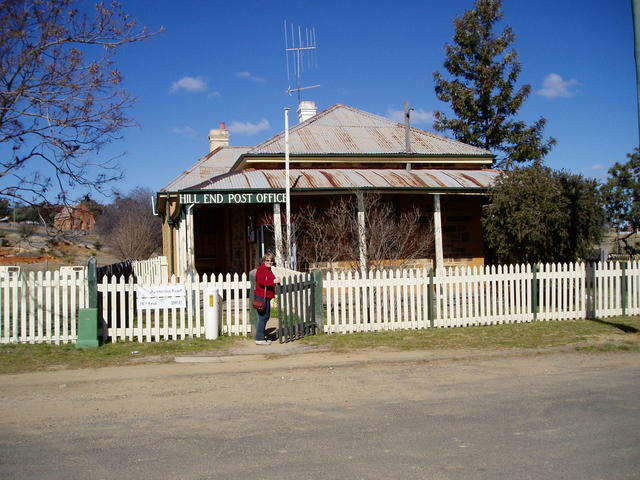 At the northern entry to the town, is the Visitor's Centre, housed in what was once the town's hospital. 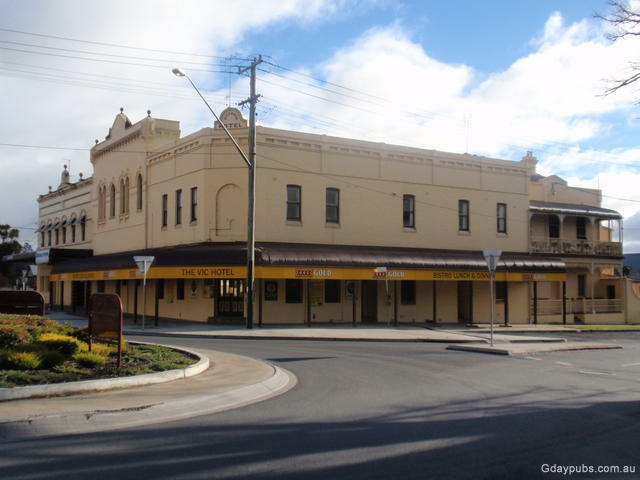 Make this your first stop, to find out all about the town, Merlin's lookout, Bald Hill lookout, and the self-guided tour of what would have to be one of the best maintained original set of building in Australia. The grounds in the visitor centre are an ideal picnic/bbq stop with plenty to see and do, and sheltered facilities. 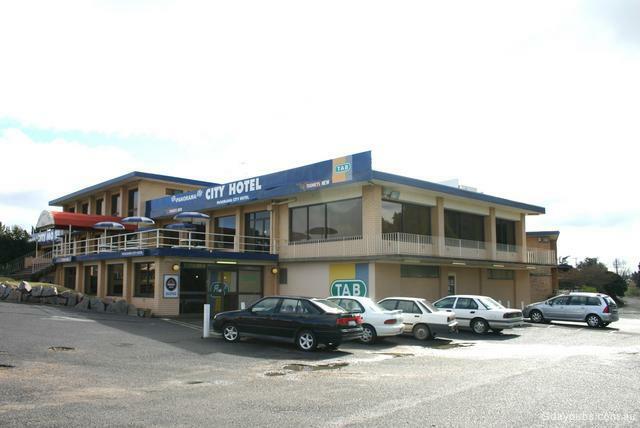 You can stay in the town, but bookings are suggested - or you can park your rig on the sports ground for a nominal fee and settle in. 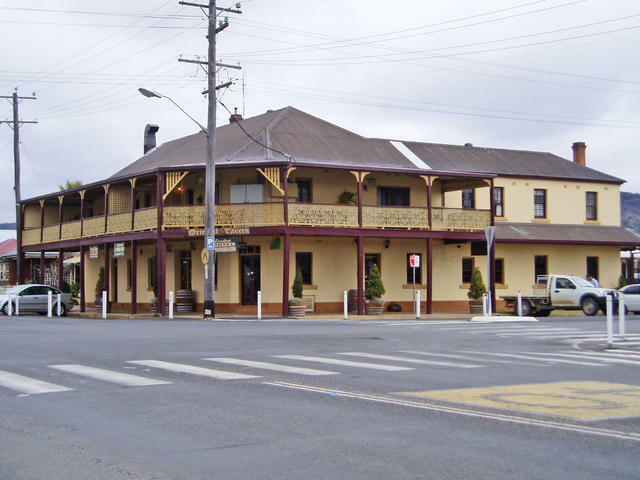 The Royal Hotel is very well setup for passing trade - and makes a keen lunch - that's for sure! 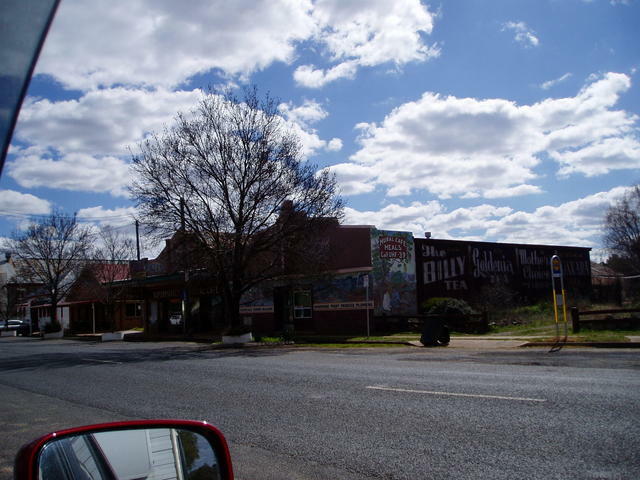 Mural photograph of the town, by Merlin and Bayliss. 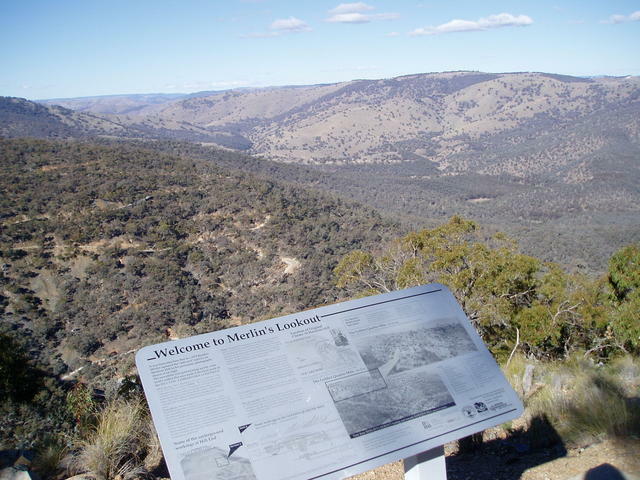 Merlin's Lookout, overlooking the goldmining ridge towards Bald Hill. Now this is one view you've got to see - but don't take your caravan there - I tried it, and it wasn't a good idea. In fact the local visitor's centre assumed I was going for a long walk, not thinking I'd drive up. So when we returned and advised we did drive, and with the van - well, you know, the locals know the right thing to do..... but you have to remember to ask them! The view down into the gorge, where they are digging again for gold these days, is quite a steep drop. All round, you can see the ground disturbance of gold mining and fosicking of years gone by. 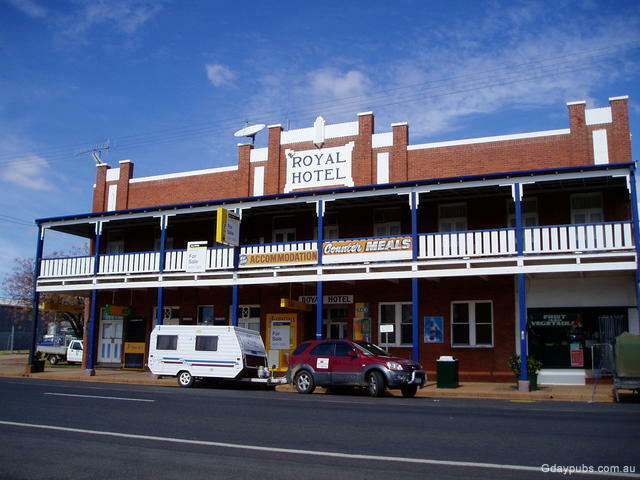 The Royal hotel - Catering well, for all who come to enjoy! This pub has a great beer garden with a handy servery. 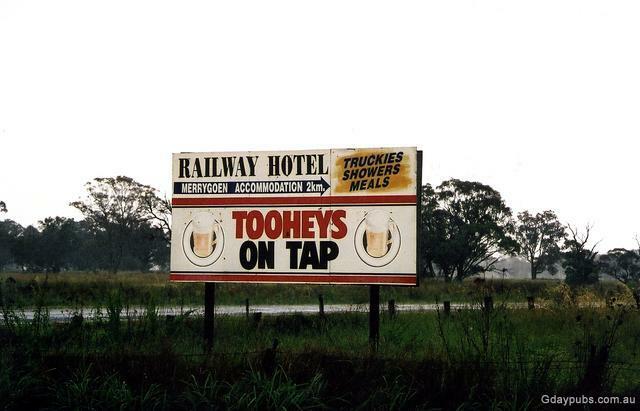 During our visit, the pub was buzzing with the kitchen serving out some really hearty meals for the many day travellers who made this an obligatory pitstop at midday. 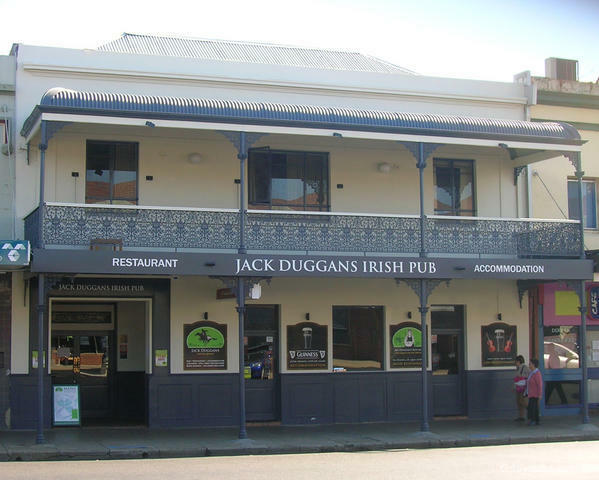 Have a good look around this pub - it has some great history, a beaut front bar - and the hospitality of the publican and staff is most welcoming. 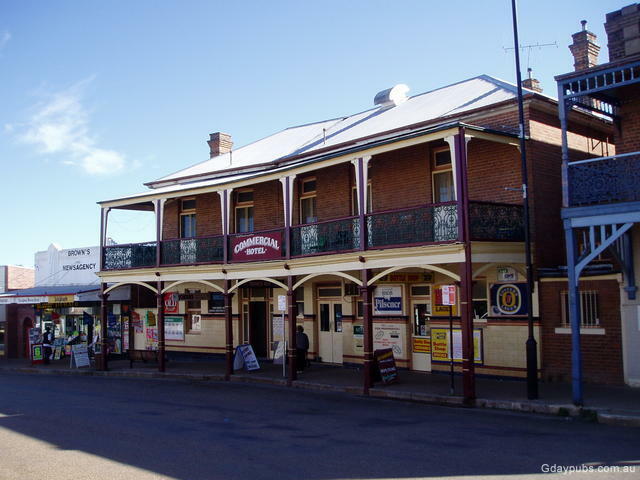 Mudgee - there's just so many great choices of wineries here - and a microbrewery to boot! So staying in the middle of the town makes for some great access to all this. The road north out of town, leads to many a fine winery, and one of interest, is Robert Stein Winery with its great hospitality and motorcyle museum to inspect as well. 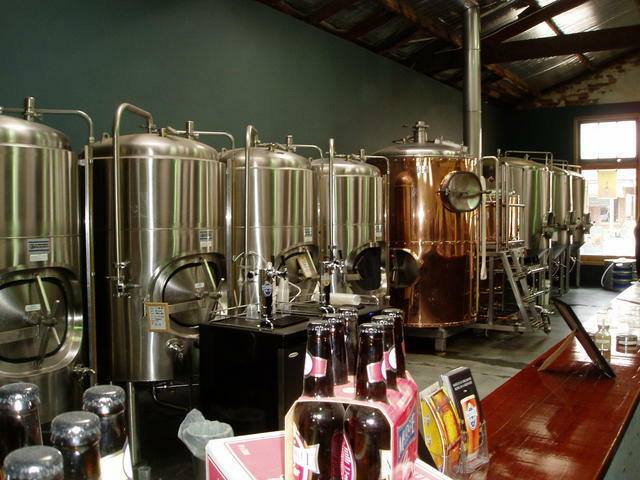 Right smack bang in the middle of town, and only walking distance to the caravan park, is the Mudgee Brewery. They have three great beers to try, and worth a look in! 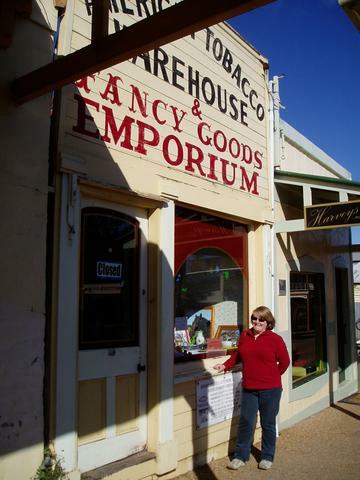 Sure Mudgee is a wine area, but the nice thing is - there's something for every taste in this town. 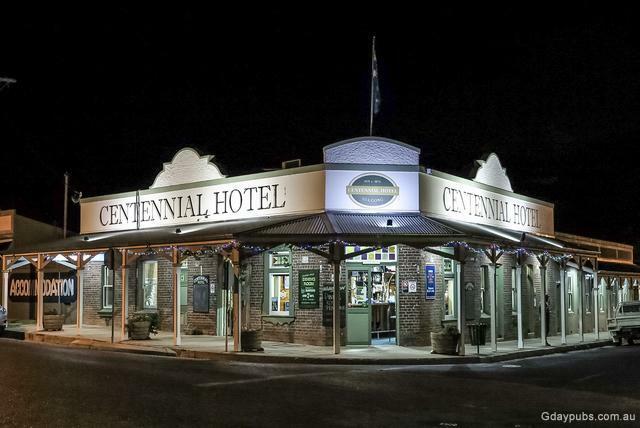 The many wineries in this area are all worthy of note, so allow a bit of time to indulge yourself in these parts. 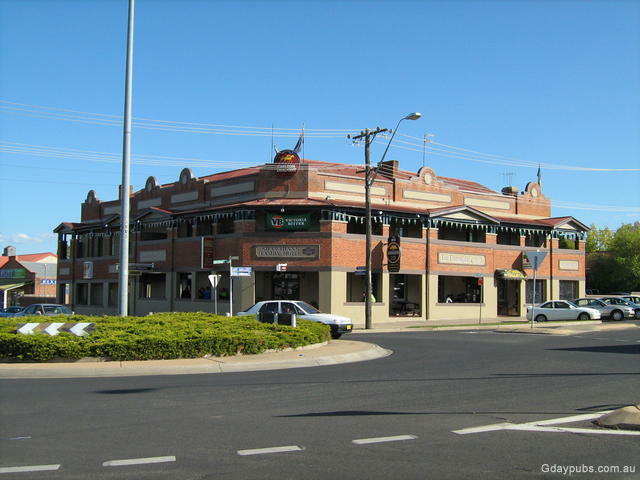 So take off out of town along the Ulan Rd and peel off left, before the airport along Henry Lawson Drive out to Eurunderee. 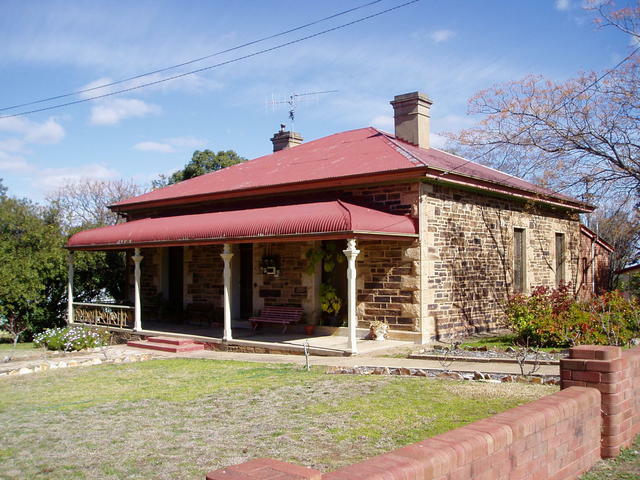 You can see the remnants of Henry Lawson's home there. Then pop east along Strikes Ln to Church Ln back to Ulan Rd. 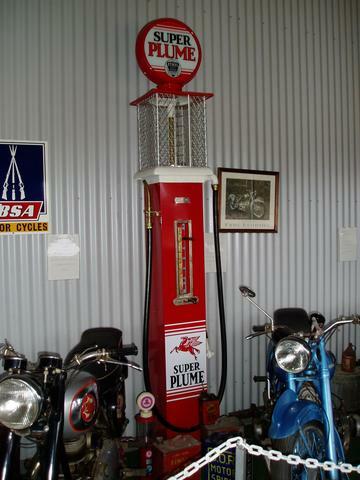 Completing the trip back round into Mudgee again, slip left, east along Pipeclay Rd to see Robert Stein's motorcylce collection and great racing memorabilia - there's some great pictures and examples of over 20 motorcylces fully restored here. But, of course the wine is even better! 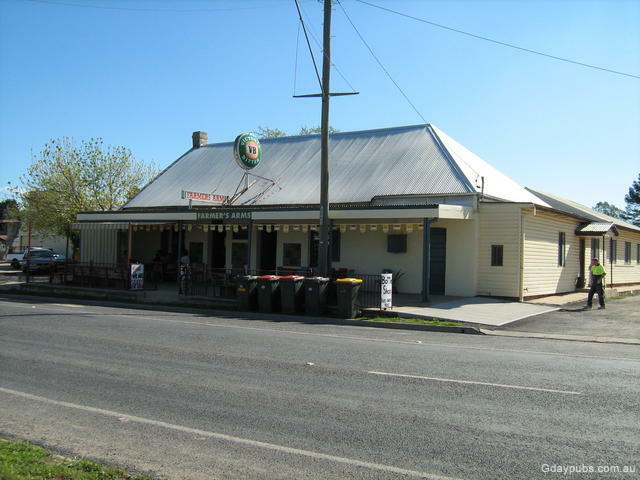 Heading back almost into town, you can also explore the area to the south-east out along Lue Rd to Mt Frome, which is also has a fine view of the valley around the northern perimeter of Mudgee. There are two longer drives, well marked out along the Ulan Rd, of 56kms and 54kms respectively, with dozens of winderies and atractions to see. 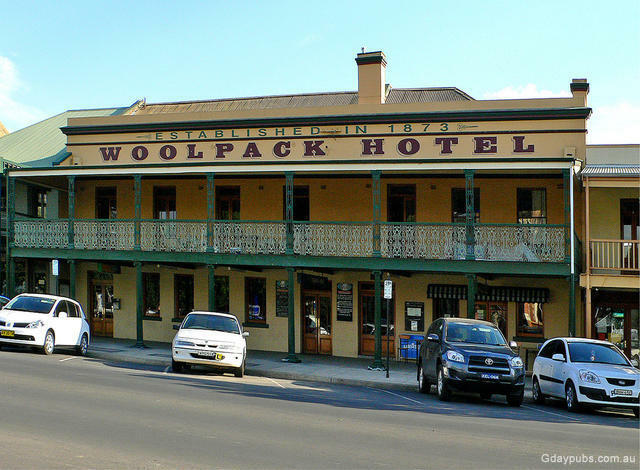 The Woolpack Hotel with fine old municipal buildings opposite. 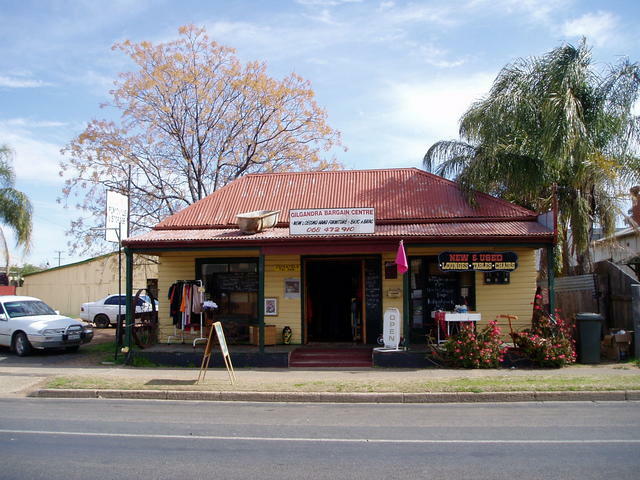 Featured on the original paper version of the Australian $10 money note when decimal currency first came in, are some of the quaint buildings of Gulgong. Hence the name Ten Dollar Town. Walking the main street which has a slight bend in it, and is very narrow, locals will remind you this town was originally a tent city. So much gold prospecting was taking place in the middle of the town, that the streets were designed (or should I say, laid) along the tent lines. 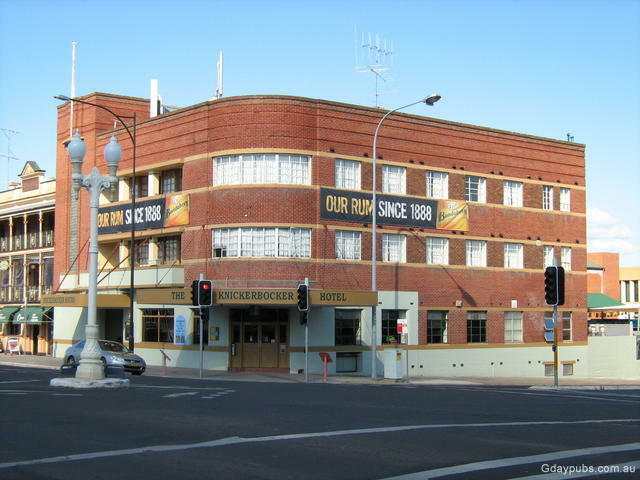 Drop in to see the publicans: Brooke and Joanne Scoular who pride themselves on presenting the Centennial as the great historic pub it is! 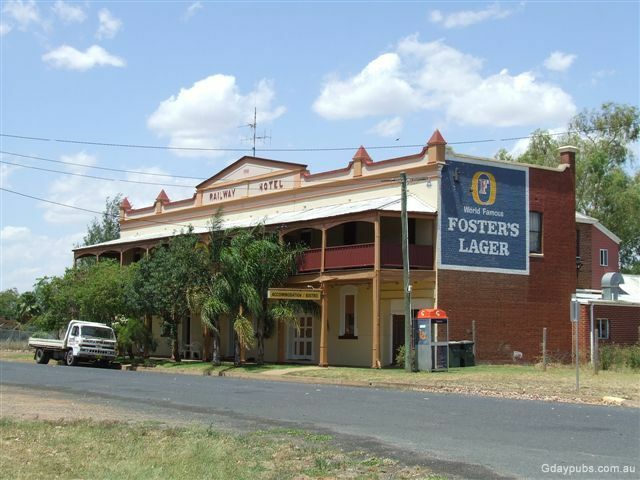 The famous bent Commercial pub in the middle of the town, following the line of the original tent posts! great atmosphere here - just don't frighten the waitresses by photographing the pub too early in the morning when they're not expecting you! 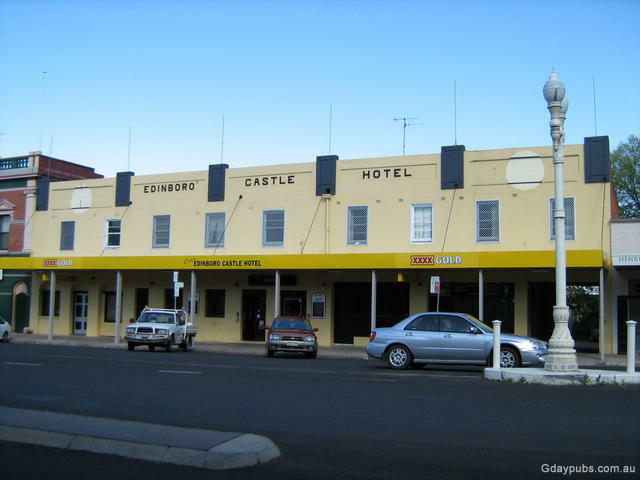 Entering the town of Dunedoo from the Gulgong and of town, you sure can't miss the name of the town emblazened onto the side wall of the Dunedoo Hotel. 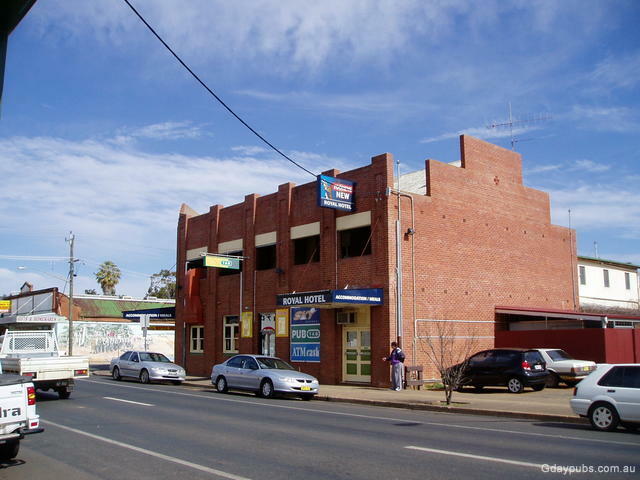 You'll have to slip onto the Gday "town" page of Dunedoo to have a chuckle at what they built opposite the pub! 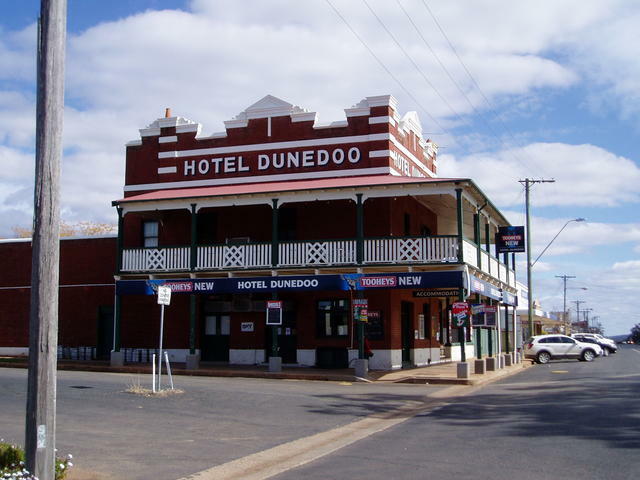 Welcome to Dunedoo! You can't miss it. 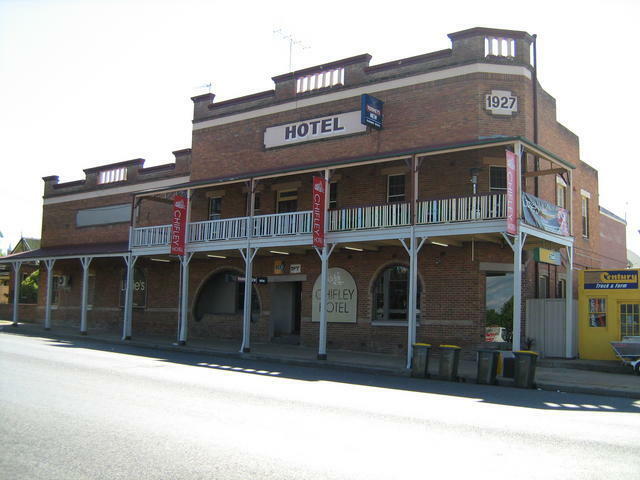 Dunedoo Hotel at the end of town. 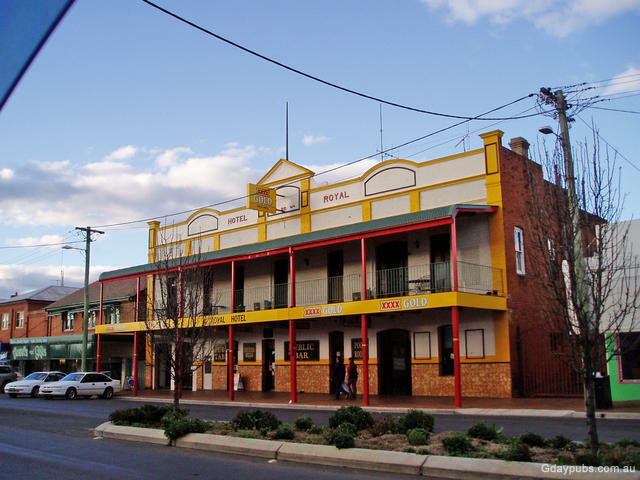 Mendooran - a town with murals all round - even the local eatery is called the Mural Cafe...... so slip around the town and seek them out! 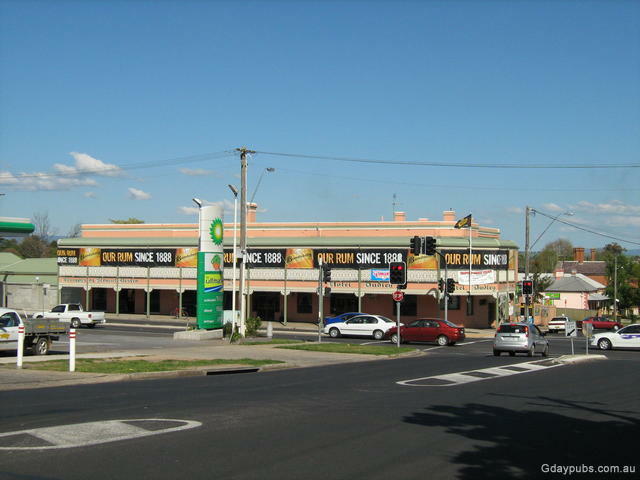 Site of the former Railway Hotel. 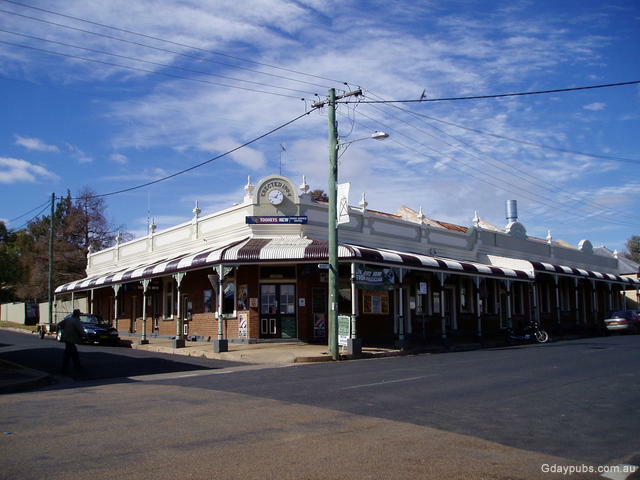 Gilgandra - the meeting point of three major highways cross at this town: Castlereagh, Oxley and Newell Highways. 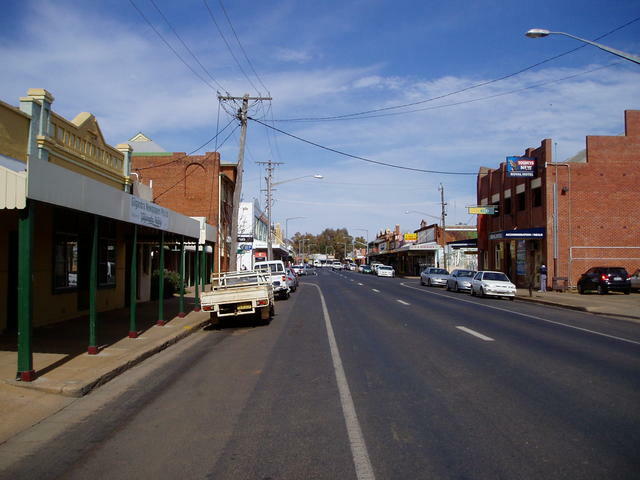 The town is situated on one of the many bends of the Castlereagh River, but known locally as the Gilgandra upside down river. In 2008 though the exposed broad sandy river bed paints a dryer look than such wetter days. Time to do some fossicking in the local bargain centre! You never know what you'll uncover in this treasure trove. Bit clean, this new truck out here! Must be about to hit the dusty road! 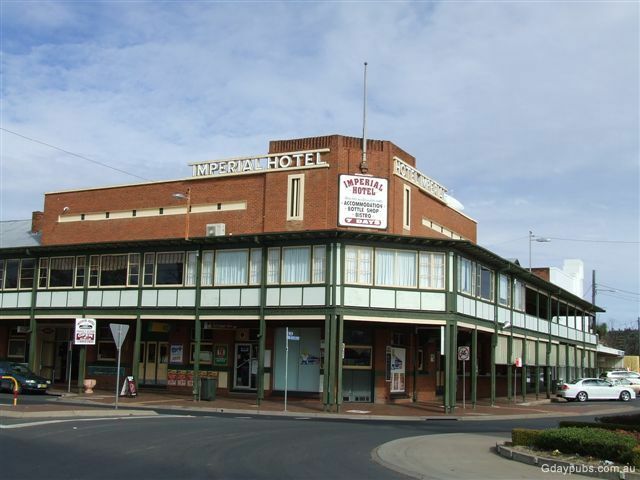 Coonabarabran on the Newell Highway, is situated only 30 kms from the beautiful Warrumbungle National Park to the west. 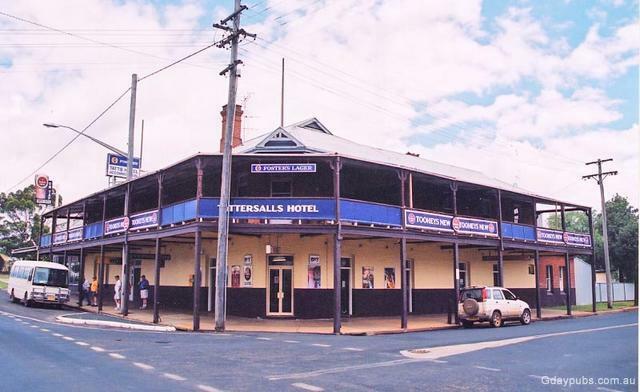 Yet so many people make this town a mid point for tearing off north to Queensland, failing to take advantage of some spectacular walks and mountain views nearby. These hills to the west of town, have long been considered amongst the best locations in the world for observing the stars and our galaxy. There are dozens of observatories, public and private, dotted around the area. But of course the main attraction is the Anglo-Australian Telescope (AAT) observatory which towers over the Warrumbungles, and is open for inspection. The area is littered with native kangaroos, wallabies, wombats and wild mountain goats to name the obvious - and obvious they are. Walking the trails to say, the Bread Knife (appropriately named for its thin slice like appearance), you have every chance of a face to face encounter with these animals. The protected area is well known to them , and they breed and feed in utter contentment - so watch out for them as you drive out of the national park area! The town is quite large and has everything you need for a comfortable and rewarding few days spent exploring all the cosmic delights. Plenty of good pubs in town - so you'll be well taken care of for a good meal each night after some serious walking/exploring in the area. 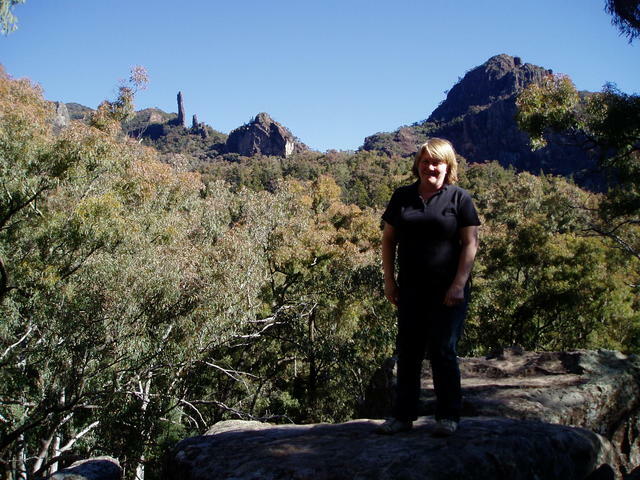 So, settle into Coonabarabran for a while, learn about the amazing facets of our galaxy, planets and solar system - and then take a more down to earth walk to explore some truly magnificent mountain scenery in the Warrumbungles National Park! Plenty to do again, in this fine area! reaching the end of a 7km round trip to the Bread Knife - a well rewarded view!